8 Week Charity BOOTCAMP at Killerig Resort!! Prizes for most weight lost & money collected. STARTS 1st WEEK IN JUNE! Quitting smoking may well be the single most important thing you can do to improve your health, your body feels these benefits almost immediately. After 2 days your body is nicotine-free and your sense of taste and smell improve. After 3 days you can breathe more easily, and your energy increases. After 2 to 12 weeks, your circulation improves. After 3 to 9 months coughs, wheezing and breathing improves. 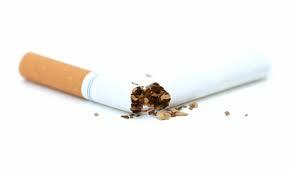 After 1 year your heart attack risk is half that of a smoker. Not everyone gains weight when they stop smoking. You can control your weight while you quit smoking by making healthy eating and physical activity a part of your life. Although you might gain a few pounds, don’t forget that you have quit smoking and taken a big step toward a healthier life. Get regular moderate intensity physical activity. Regular physical activity may help you avoid large weight gains when you quit smoking. It may help you look and feel good, and fit into your clothes better. You will likely find that you can breathe easier during physical activity after you quit smoking. Try to get 30 minutes or more of moderate-intensity physical activity on most days of the week, preferably every day. Having more high fat, sugary snacks and alcoholic drinks may lead to large weight gains when you quit smoking. The ideas below may help you make healthy eating and drinking choices as you quit smoking. Eat enough at meal times to satisfy you. Choose healthy snacks, such as fresh fruit or canned fruit in juice (not syrup), unsalted popcorn or fat-free yoghurt, when you are hungry between meals. Do not deny yourself an occasional treat. You are currently browsing the Nutritional Concepts Tips and Advice Blog blog archives for May, 2011.